I've like the Bat Bones tricopter since FliteTest released it. When David made it into a V-Tail, I really wanted to build one. 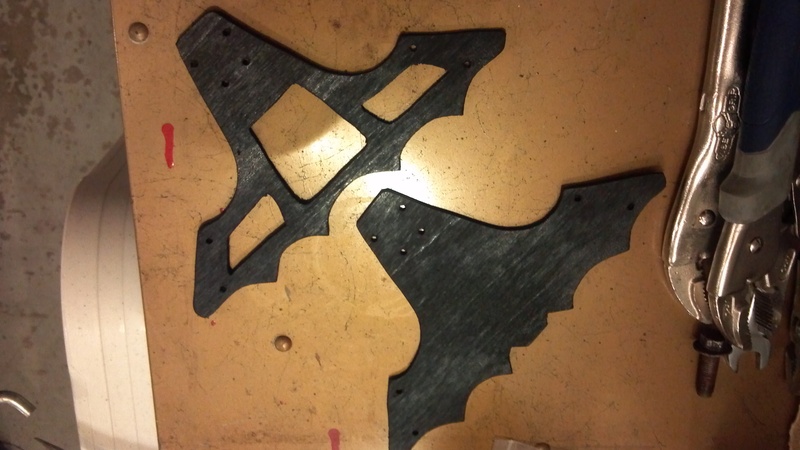 I've made three other Tricopter frames out of 1/8" plywood and wanted to do the same thing with the Bat Bones. 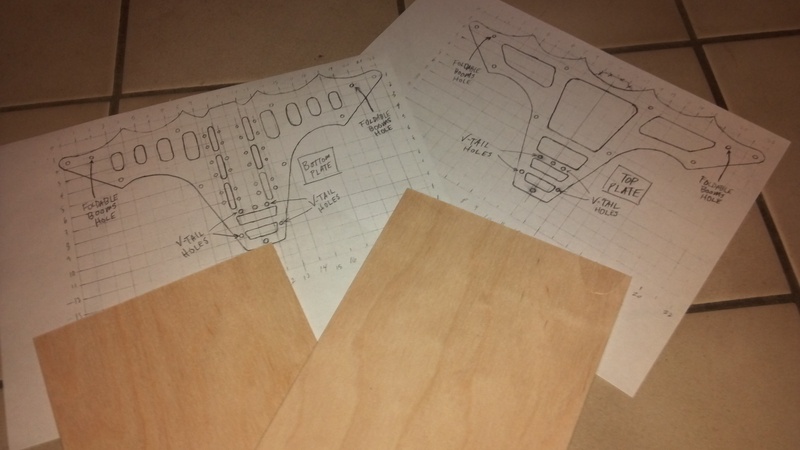 The problem I had is that I couldn't find any templates or actual sizes of the plates... so I made my own. 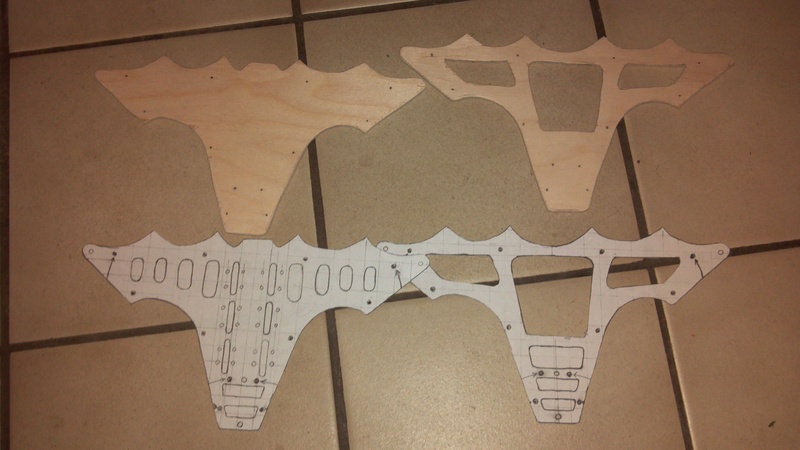 The carbon fiber used by FliteTest can stand to have all the holes cut out and still retain enough strength to use it as a frame. I don't have the same confidence in 1/8" plywood. 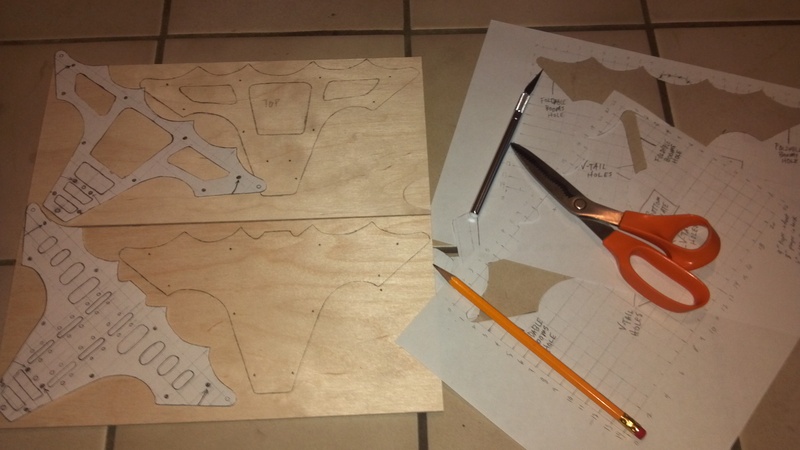 The templates have all the original holes but I didn't end up cutting them out because I want the extra strength and my cutting skills aren't all that wonderful. 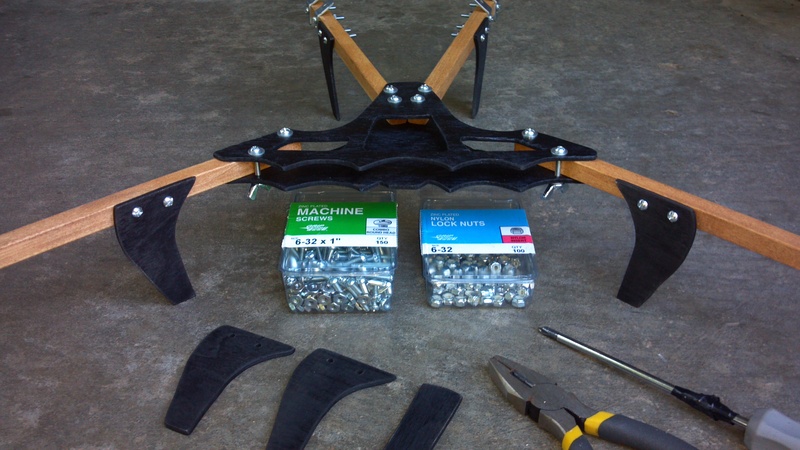 Here are some of the pictures of putting the frame and arms together. 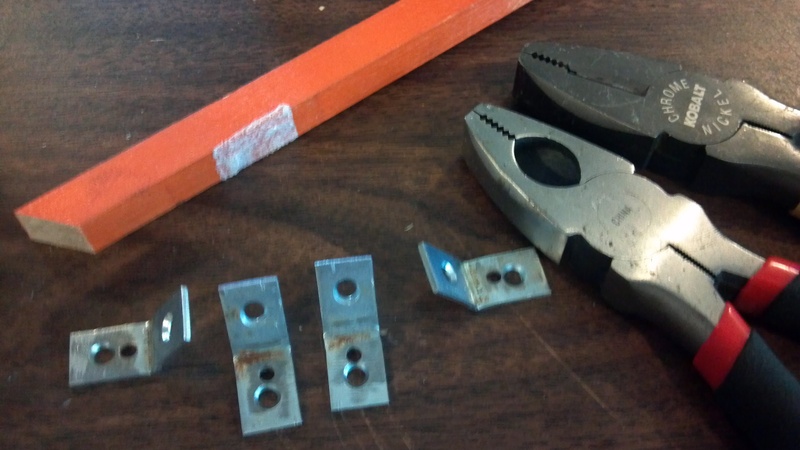 I cut out the plates with a jig saw and drilled the holes with a 9/64 drill bit. I took this to see what it would look like assembled but I was one arm short so I put a purple one in temporarily to see what it would look like. Of course the plates had to be spray painted black. 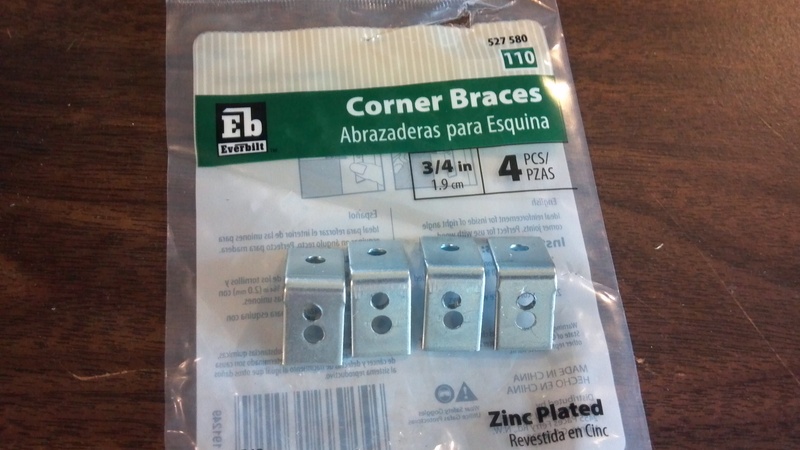 These are some corner brackets I picked up at Home Depot that will be used to mount the rear motors. I cut a piece of wood at 40 degress and then bent the corner brackets to match the angle. 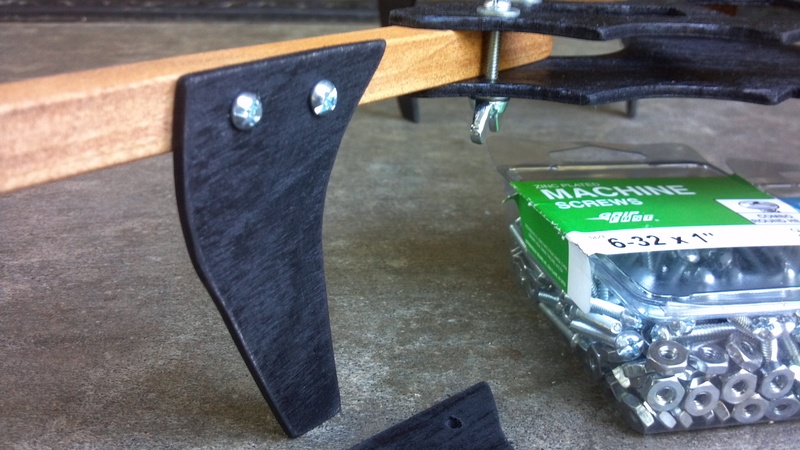 I also drilled another hole in the bracket that would line up closer to the center of the 1/2" arms. I stained the arms because it looked like the FliteTest team stained theirs in their videos instead of leaving them unfinished. I mounted the brackets on to them with 1" 6-32 screws. I definitely wanted to have the holes in the top plate so the KK2.0 board could sit on the lower plate to give it a little more protection in the event of a crash. I used locking nuts to hold most of it together so they won't work their way lose. I also used wing nuts on the front portion of the arms so they could be loosened to allow them to fold backward for storage and travel. The total weight is 173 grams. The FliteTest website says the original Bat Bones is 1.3 pounds (589 grams) - that may be shipping weight but that seems high. I'm anxiously waiting for the electronics to arrive and to see this thing fly! EdinSimon created CAD drawings of the templates. 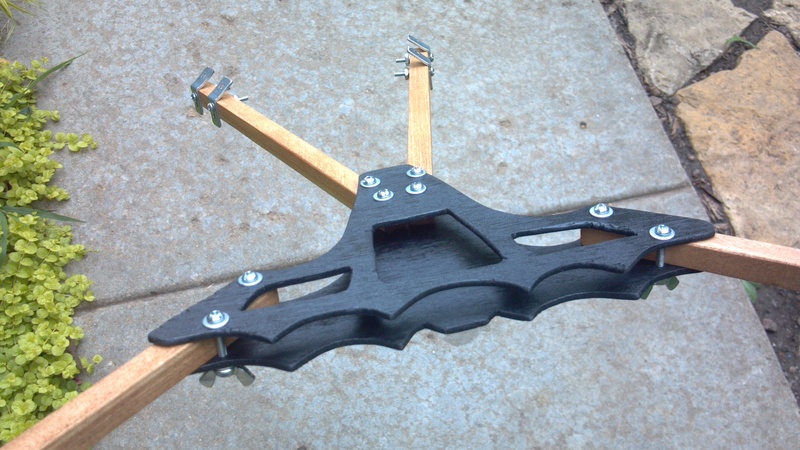 They support both a tricopter or v-tail version of the Bat Bones frame. They aren't perfect because they were drawn by hand. I don't have my motors to see if 8x4 propellers will touch when the motors are mounted but I think the "V" made by the holes is at a large enough angle that they should be fine. It looks like it will work well! And it looks good! cool build, hows the weight? It is 173 grams for everything in the last picture. Looking good. For a minute there, I thought you were mounting two motors on each rear boom. That would be cool, but they'd have to be a lot longer! Thanks! It is hard to beat. Nice! Would you consider making the templates available? I'll try to get them scanned in and put a ruler on them and hopefully they'll print out the right size. I know they aren't perfect because when I flip over one plate, they don't all line up like they should. Someone could perfect them if they wanted to. I'll feel a lot better about them after I see this thing fly. 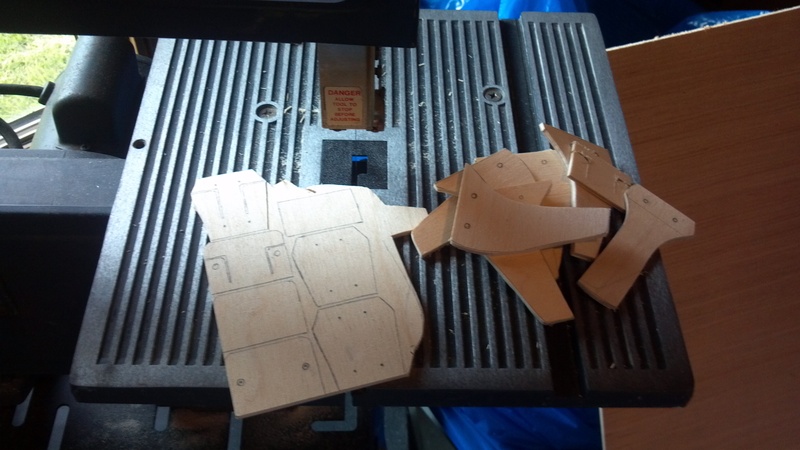 I cut out some landing gear on a band saw. 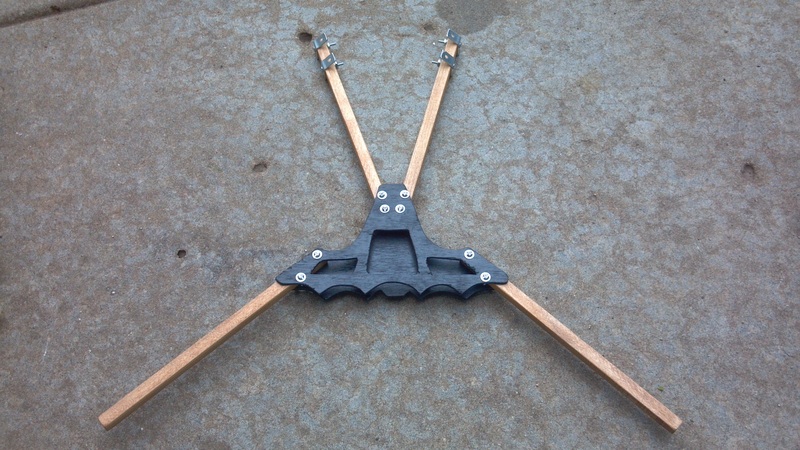 The landing gear is similar in size to the landing gear pieces that are included with the Bat Bones kit. I didn't want them on the ends of the arms because I think they look better pushed back a little. I'll add these to my templates before I upload them. Of course they had to be painted black! Nice job, man. It looks great! Do you have a way to lock the wing nuts from backing off? I find myself snugging up the lock nuts on my Bat Bone every few flights. No, I don't. If I don't fold the arms back when I'm not using it, I'll probably end up replacing the wing nuts with lock nuts. I have tricopter today with the wing nuts and I check them every time I fly because they always seem to get loose. 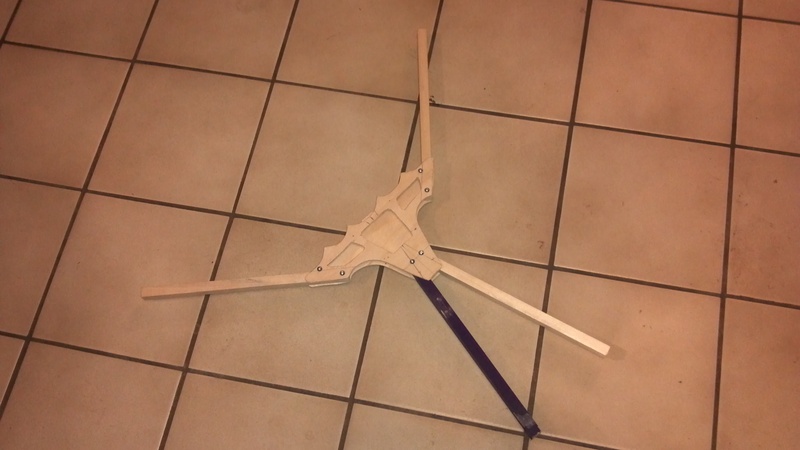 Also, I do fold back the arms on it when I go to and from the flying field because the arms are so long (16 inches) that the tricopter doesn't fit flat on the floor in back of my minivan with the arms straight out. This v-tail quad is a lot smaller and I don't think I'll have that problem with it. I put the templates at the bottom of the first post. 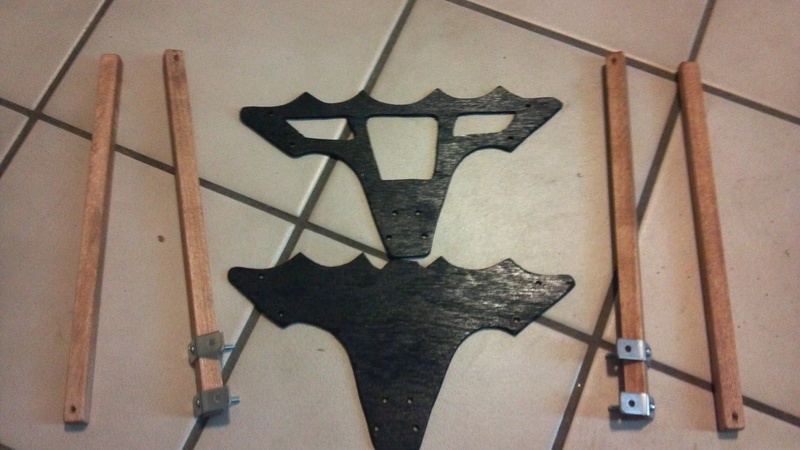 I also put in the landing gear and the piece where I'm going to mount the FPV transmitter in them as well. Thanks heaps! 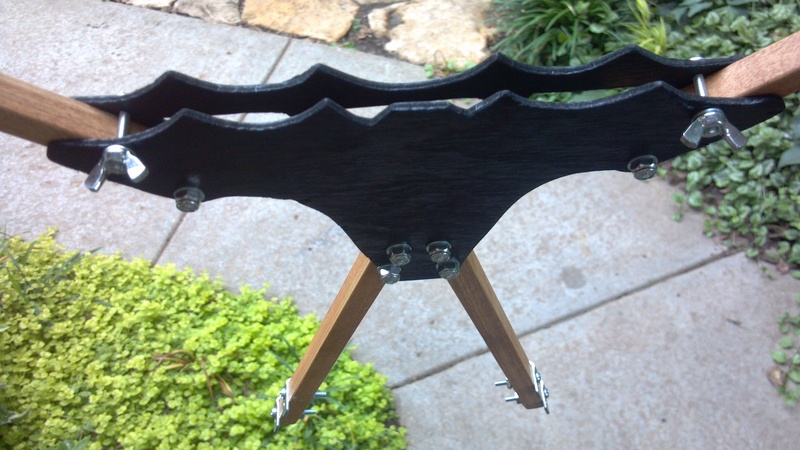 I want to replace my coffin style with the bat bone with the cut outs so I can mount the kk2 board inside the frame. Looking forward to some video! If you dab a bit of blue loctite on one side of the screw on the threads, nuts are very secure even when they are backed off and on. You may have to re-apply a bit every couple dozen times you turn the nut, but it works pretty well. But of course it eliminates the nut free spinning off pretty much the entire screw length too, which may be a pain if you take the nut off often. You're welcome! You have to post some pictures of what you make! Thanks so much for sharing, I'll try and clean up the files tonight and post back.